If your Webster, NY home needs repiping, call G.T. Campbell first. 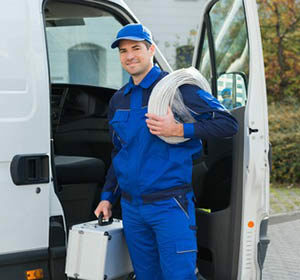 Our plumbers have experience with all sorts of repiping jobs. Whether you need your whole home redone or only a section, we can assess the problem, give you an estimate of how much it will cost and how long it will take to get the work done, and perform the repair to the highest of standards. Our plumbers in Webster NY know that repiping is a significant decision. They’ll help you determine whether it’s the right choice for you, given your history, your home’s history, and your current needs. If you decide to go ahead with the job, we’ll make sure everything gets done quickly and smoothly, and that you’re happy with the job when it’s done. When Do I Need Repiping? Getting your home repiped is a major decision. Sometimes, it’s the best possible choice for you and your family. But how can you know for sure? Here are a few things to consider as you’re making your decision. The cost of repeated repairs. Plumbing repairs can be expensive. Even when we work to keep things as affordable as possible, the cost can add up. If your pipes are old, weren’t installed well, or have some other issues, you can spend quite a bit on repairs here and there. At some point, it’s more cost effective to get them replaced, rather than continue repairing problems as they pop up. The age of your pipes. Depending on what type of pipes you have, they can last anywhere from 30 to 70 years. If the pipes in your Webster, NY home are older than that, consider replacing them. Older pipes tend to have more problems, so repairs, as mentioned above, can get expensive. It may be worthwhile to repipe your home before this gets out of control. The value of your home. If you have an older home with older pipes and you want to sell it, it’s possible that repiping will make your home more valuable. You’ll want to take to a realtor or other expert before you make this investment, to make sure it will pay off. However, if you have a buyer who wants an older home with less maintenance, they might be more likely to buy yours than the one down the street with older pipes. Even if you’re not yet sure about repiping, give us a call. We’ll figure out what needs to be done and whether repiping is a good option for you right now. If you decide to repipe, we’ll get the job done. Calling G.T. Campbell means calling in the best. We promise that we will take care of your home as if it was our own. We know that plumbing problems, especially major ones like repiping, can be difficult and stressful, and we strive to make things as easy as possible for you. We’ll get the job done, and we’ll make sure you’re happy before we leave. That’s our promise to you.